Tokyo Gov. 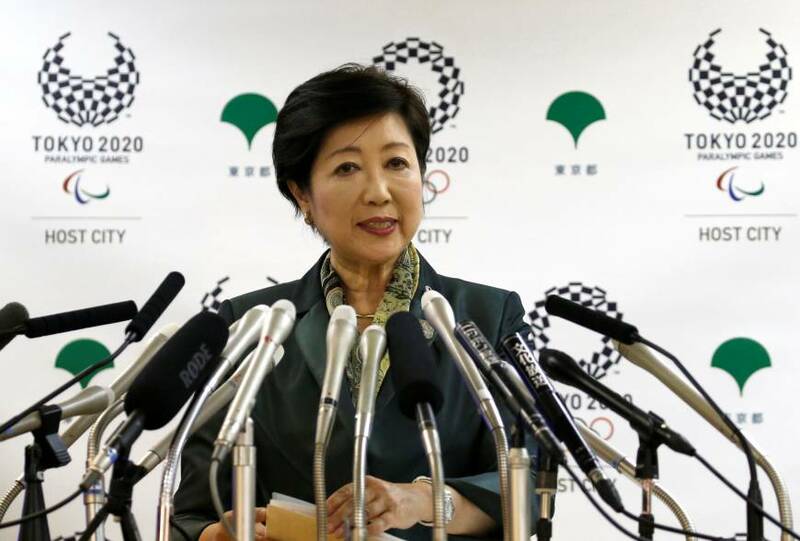 Yuriko Koike announced Tuesday that the famed Tsukiji fish market will relocate to the planned Toyosu site in Koto Ward, with the current site to be redeveloped after the 2020 Summer Olympic Games. 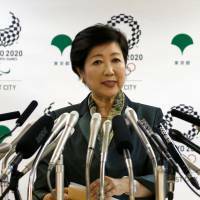 “I have concluded that using both sites would be the wisest decision,” Koike told reporters at a hastily arranged news conference at the Tokyo Metropolitan Government office in Shinjuku Ward. Koike said the Toyosu site will operate as the primary wholesale market and the main distribution center, benefiting from its close proximity to both Narita and Haneda airports. The metro government’s plan calls for the renovation of the existing Tsukiji site in Chuo Ward, where some operations at the market will be restored in five years, with a goal of retaining its cultural legacy, Koike said. “I felt (Tokyo) needs to take over the responsibility on behalf of those who have long promoted … and protected the world-class Tsukiji brand,” she said. She did not specify, however, when the Toyosu market will open and said she would disclose a detailed schedule at a later date after holding talks with the market’s wholesalers on how best to move forward. Koike was faced with the choice of using the current, aging site or relocating to the pollution-tainted alternative site in Toyosu. The governor said that besides a revision to how the facility is managed and operated, additional safety measures, including the two-year monitoring of pollution levels and improvements to the pumping system to control groundwater, will be needed at the new site. She added that the city would invest in advanced equipment to improve distribution efficiency. But Eiji Ikuina, head of Eiko Suisan, a seafood wholesaler at the Tsukiji market, criticized the decision, saying the governor has yet to allay lingering concerns over contamination at the Toyosu site. Ikuina said such a declaration is the minimum condition for him to relocate. The construction of the new market in Toyosu cost some ¥600 billion and measures to mitigate pollution have so far exceeded ¥85 billion. Koike said many of Tsukiji’s aging buildings do not meet current earthquake codes and either need to be replaced or refurbished. The Tokyo government had planned to sell off the Tsukiji site for ¥459.6 billion to repay the debt, but Koike said such decision would be unfair to future generations. Koike said eventually the Tsukiji market will be turned into a culinary theme park and hopes the revenue will help repay the debt issued to finance construction of the new site. 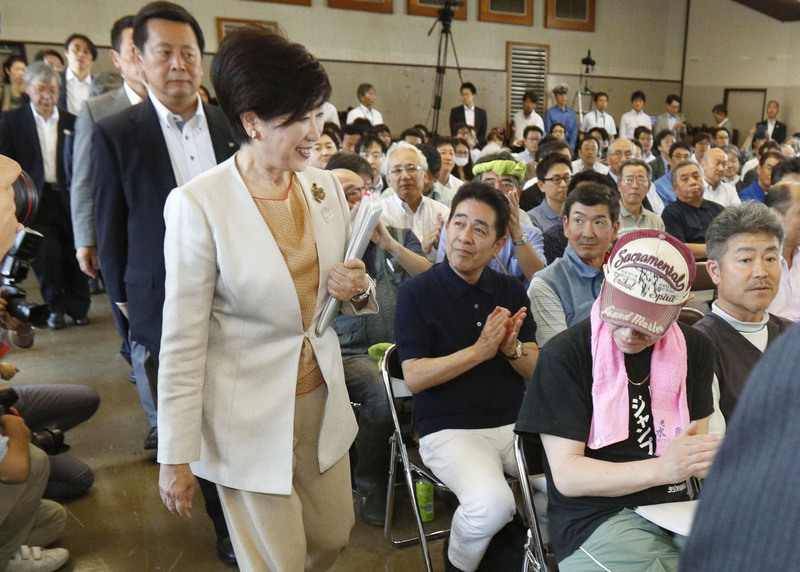 Koike added she was hoping her decision would help restore public trust. The relocation was initially planned for Nov. 7, 2016. But when she became governor in August last year, Koike postponed the move after unsafe levels of carcinogens such as arsenic, cyanide and benzene were discovered at the planned site, with benzene concentrations in March and April found to be 100 times the safety limit. It was also learned that pollution-control measures promised to the public over a decade ago had been skipped. Koike justified her decision to delay the move, saying the initial plan and the suggested responses to the needs of the merchants would not ensure long-term sustainability.